Here’s a cute little family posted by MeeGo Experts. 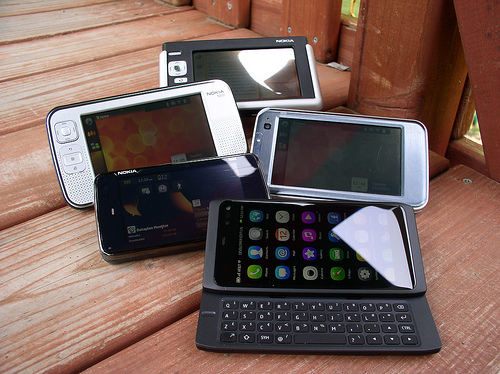 The Maemo Family. The N950 can be included in that due to the Harmattan (Maemo 6) heritage. All of these then can be considered as the Pre-Step 5 of the Maemo Journey, culminating in the missing family member – the one that’s not jut for geeks but for the mass market. Were you ever lucky enough to play with any of these? I have a N800 Internet Tablet myself. That was a revelation to use the internet on a 4.13″ 800X480 screen back in 2007 when everything else was QVGA and NON touch! Thanks for the tip, Adan!